DST has a very special The Walking Dead Minimate two pack on the way for the inaugural comic shop event- Halloween Comic Fest. Comic book stores across the US will take part in the spooky event this year offering all kinds of Halloween-themed goodies and special edition comics. 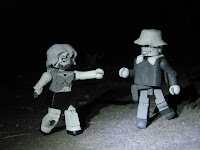 One of those cool little items that'l be on hand is a Walking Dead Minimate two pack that harkens back to the comics themselves by casting the figures in black and white. This year, comic shops across the country will participate in Halloween ComicFest, with special giveaways and limited-edition comics, as well as some cool Halloween-themed merchandise. 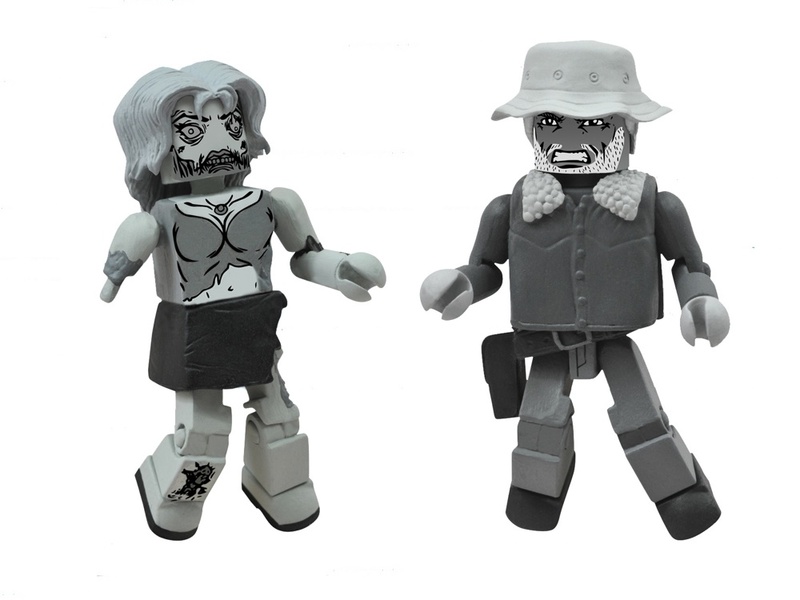 And Diamond Select Toys is participating in the event with an exclusive 2-pack of Walking Dead Minimates! 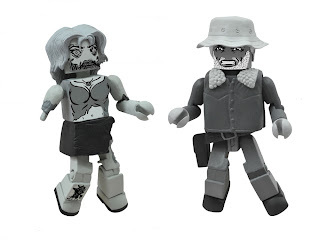 DST has taken their rare Winter Coat Dale and Female Zombie 2-pack from Series 1 and repainted it in an even rarer black-and-white color scheme, as they originally appeared in the popular black-and-white comic book by Robert Kirkman! Tell your comic shop to order a set for you, and pick it up just in time for Halloween! A Halloween event in comic book stores just kind of makes sense. I'm actually pretty surprised that nobody ever thought came up with this before since there are so many horror comics out there.